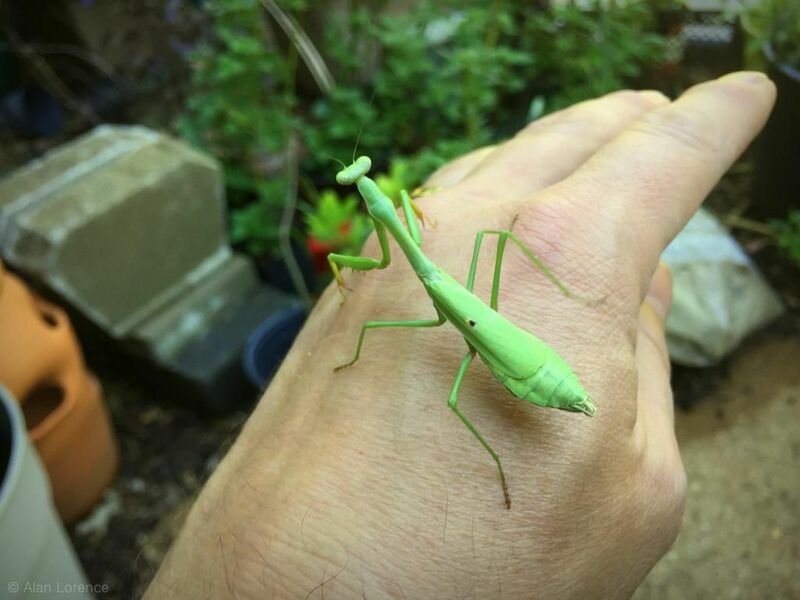 A higher percentage of my posts recently have been about mantises, but it's unavoidable. Those beneficial insects are my favorites, especially since I raise them from egg to adult in a way. This is the time of year when they are most visible, on the move looking for mates and egg laying spots -- or at least that's what it seems like to me. This female Carolina mantis (Stagmomantis carolina) was climbing on a power washer next to the garage door, so visible it worried me. If I could spot it so easily, so could a bird! She was wary of my hand and tried to run, but by keeping my hand still for a minute she eventually calmed down and climbed up. If it were a month later and freezing temperatures were closer I might have put one of these into a jar and fed it crickets until it laid eggs, but since there's still plenty of time left this season I just left them alone. I'll find plenty of egg cases to keep in the fridge over the winter. 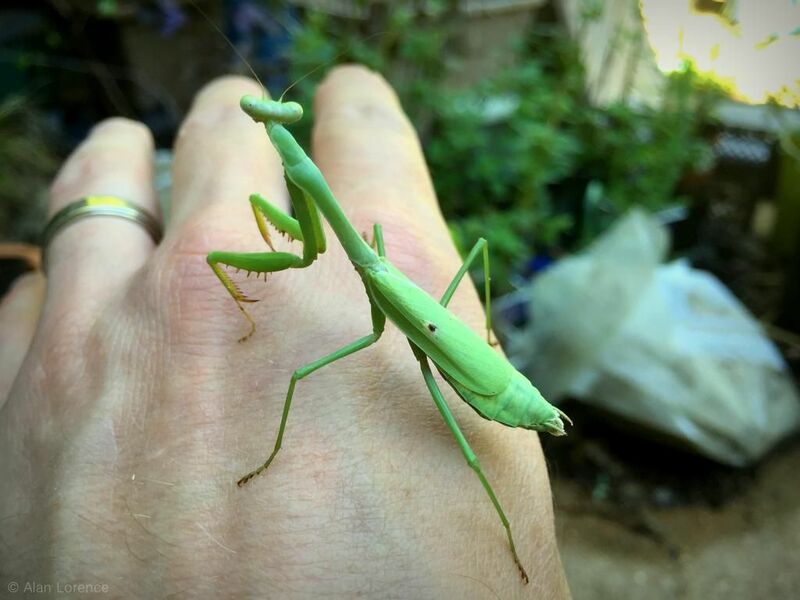 I wish I could know how many mantises there were in my yard, how many of the babies made it to maturity. At least two, right? You're doing really well keeping and having them, fascinating creatures for sure! 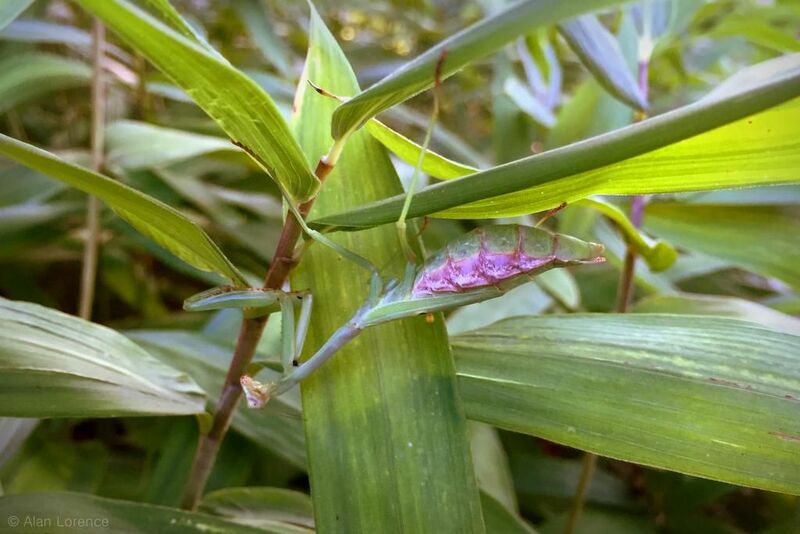 I see more mantis downtown where there are a lot more flowers than here. They are charming creatures. Haven't seen any in ages, don't know why. 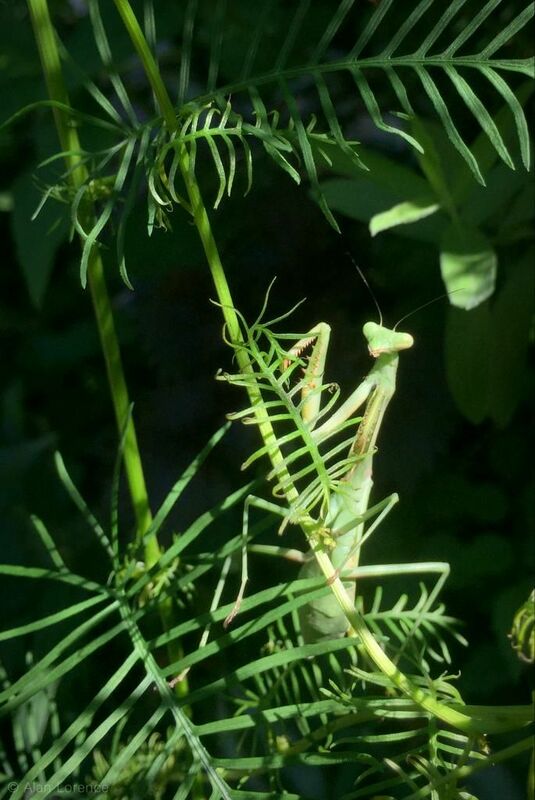 Anyway, your mantises adventures are informative and fun. Such interesting and cute insects. Very sweet. "I raise them from egg..." I find that fascinating. If you hadn't pointed out the "fat one", I would think it was a flower bud! Seriously good camouflage.